Merry Christmas! What now of the tree…? Firstly, it’s a very Merry Christmas from the Eden Restored team and we hope you’re looking forward to a happy new year too. We’re enjoying one of the very few quiet times of year, and taking time to recharge and relax before a hectic 2018. That being said, the festive period brings with it its own chores. All that additional cooking, drinking and eating; putting the decorations up and trying to get the fairy lights back into their box. And then there’s the tree. 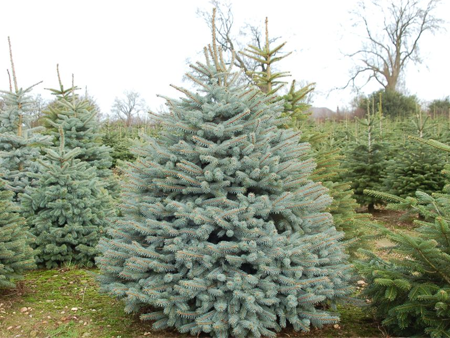 Christmas isn’t Christmas without a real fir, pine or spruce in the house, but what do you do with yours afterwards? This is our third year of using the same Norway Spruce that we bought in 2015 from a local farm. Taken care of properly, these trees can soldier on tirelessly and the only thing you’ll have to worry about when it comes time to put the tree up; is whether it’ll still fit after a year of growing in the garden! When you’re choosing your tree, you need to make sure that you buy a healthy one with all of its needles intact, a good recent supply of food and water, and a strong, dense root ball. With all of these characteristics present, make sure that when it goes up at home; it’s not near the radiators, it maintains good damp soil, and that it’s not inside for more than about two weeks. If you’ve managed to do all of this and are happy with the condition of your tree come the new year, then you’re ready to transplant it to the garden. Well, not just yet! Step one is to acclimate the tree. After a fortnight of warm conditions, moving it immediately back out to the British frost would not be the wisest step. 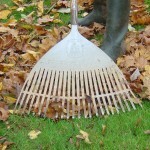 Give it a few days to re-enter its winter dormancy in the relatively forgiving climes of a garage or shed, where the temperature is lower but the elements aren’t as harsh. Whilst the tree is acclimating, you can start digging hacking away at the frozen soil to dig a suitable hole; one 3 or 4 times as large as the root ball. 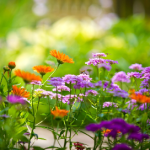 Make sure you choose as mild a day as possible to plant, one where the soil hasn’t had chance to freeze. Remove the burlap from the root ball, sink the tree and backfill with soil, tamping as you go. Cover with a generous helping of mulch and then water deeply. 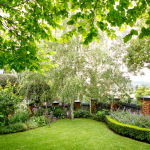 Protect the tree with a screen, and fertilise in the spring. All being well, you should have a healthy Christmas tree in your back garden when December comes back around. If all that seems like too much hassle, remember that there are a number of other ways to reuse or recycle your tree; other than sending it to landfill. Using it in your garden without planting it can provide you with an architectural decoration, or a home for wildlife (hang bird feeders from its branches). You can also cut and saw the tree to use it for firewood, or use the evergreen branches as insulated coverings for flower beds. Whatever you choose to do, purchasing a Christmas tree is an investment that lots of people don’t consider the returns on. Now, we’re off to get ready for our New Year’s Party. See you on the other side!